These photos were taken when I was between ten and eleven years old. I used a Kodak Instamatic camera with 110 film cartridges! 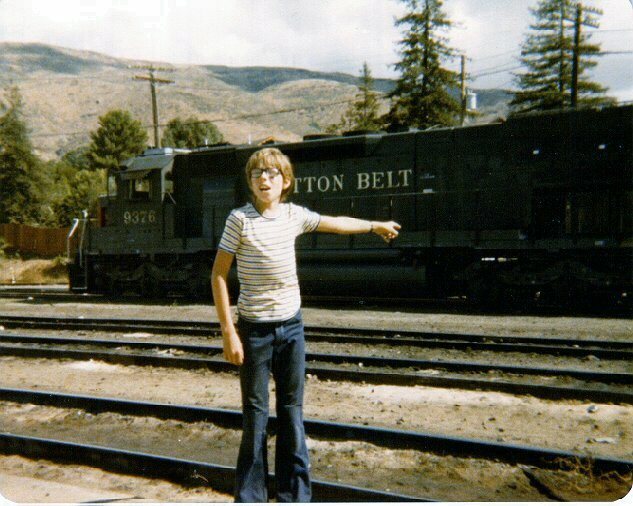 (15K) Me on my 12th birthday in San Luis Obispo. 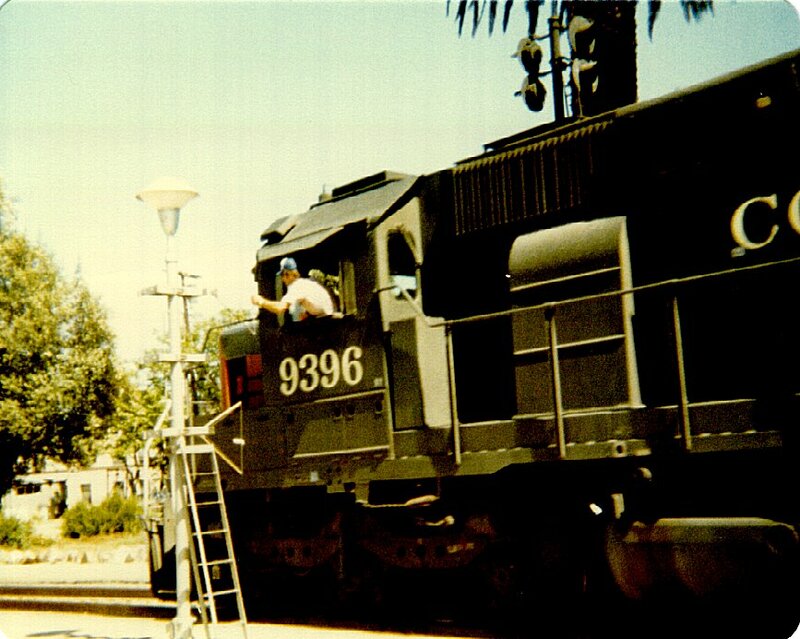 (84K) On my 12th birthday in San Luis Obispo, the locomotive I'm pointing at is the one I got to climb aboard, thanks to a friendly engineer my dad talked into letting me up in. I even got to blow the horn once! 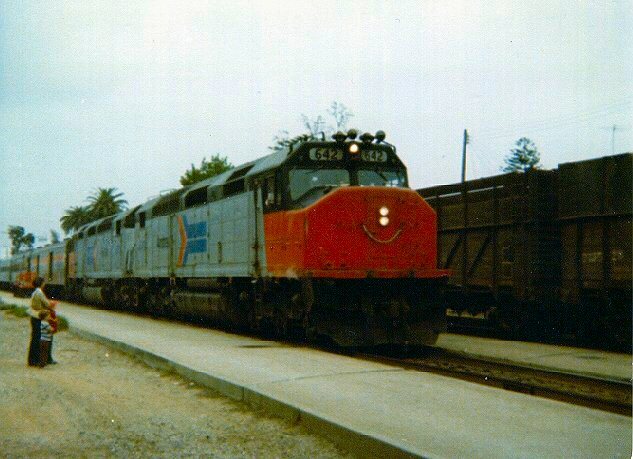 (39K) An SDP40F on the point of Train #14 at Santa Barbara. Taken in Summer of 1979. 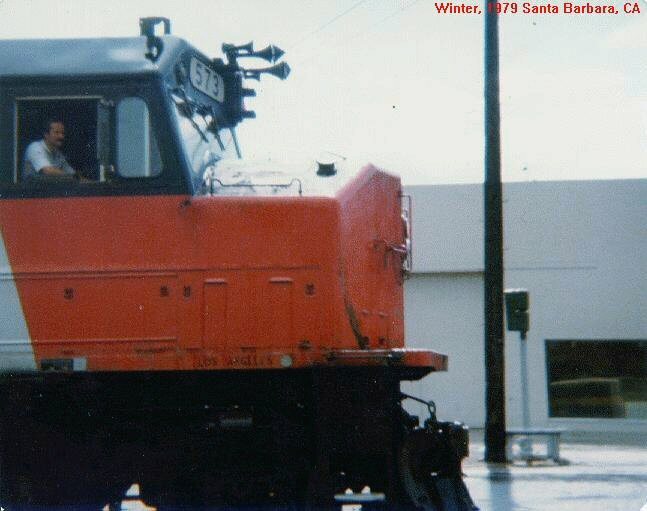 (46K) An SDP40F being worked on at Santa Barbara. 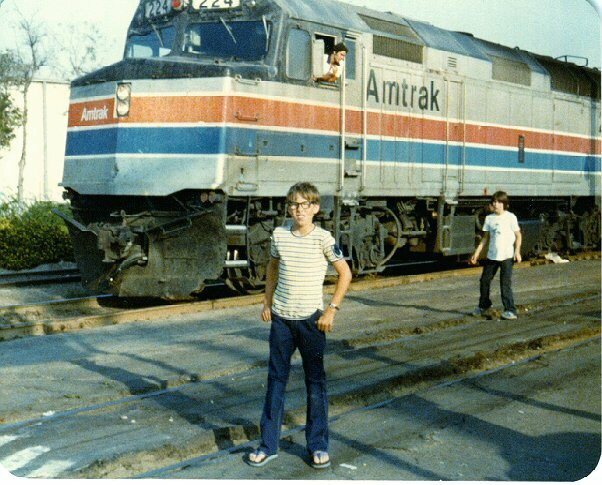 Taken in Summer of 1979. 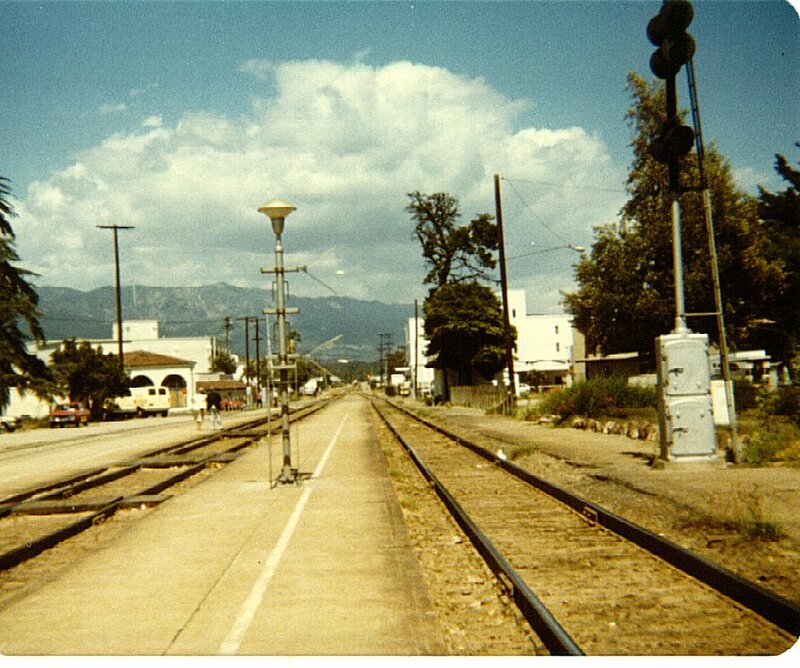 (77K) Meet betwen #14 and a freight in Santa Barbara. Taken in Summer, 1979. 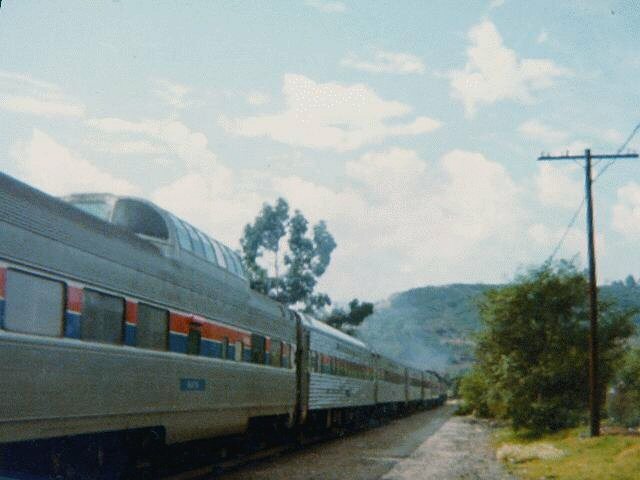 (71K) Amtrak #14 meeting a freight in Santa Barbara; notice the caboose on the freight! Taken in Summer of 1979. 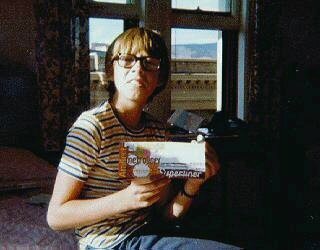 (86K) Summer, 1977 in Santa Ana, CA when I was nine years old! 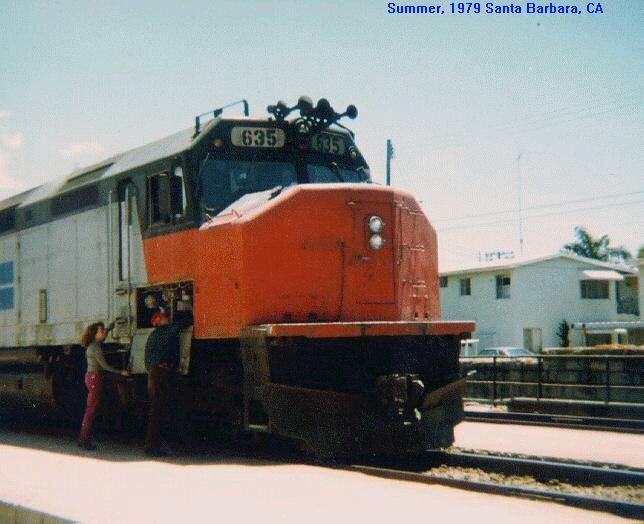 (159K) Summer of 1979; Train orders were left for the engineer to grab on the go! I guess they didn't have radios in the locomotives back then? 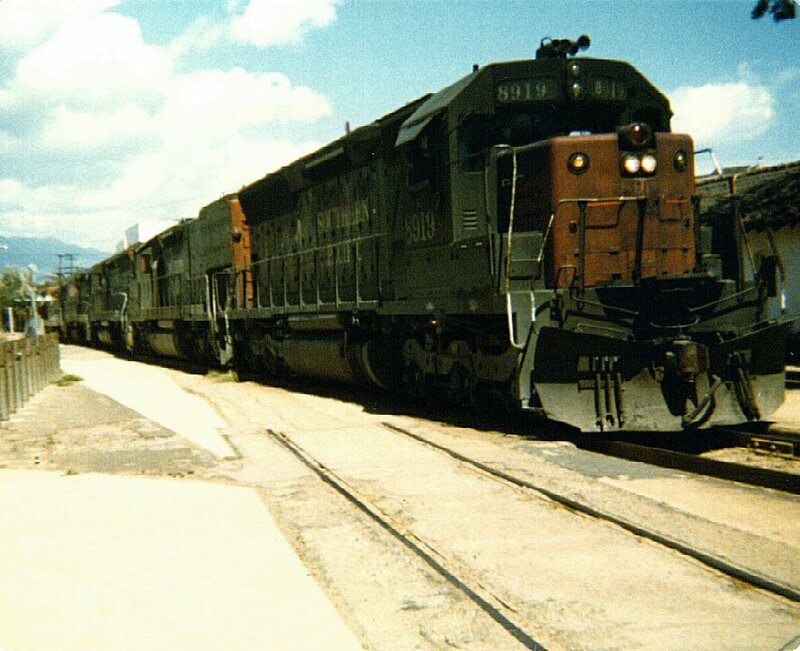 Notice the orders on the lower hook, for the caboose crew. (128K) The engineer taking the train orders must have a very steady FIRM hand when taking them. 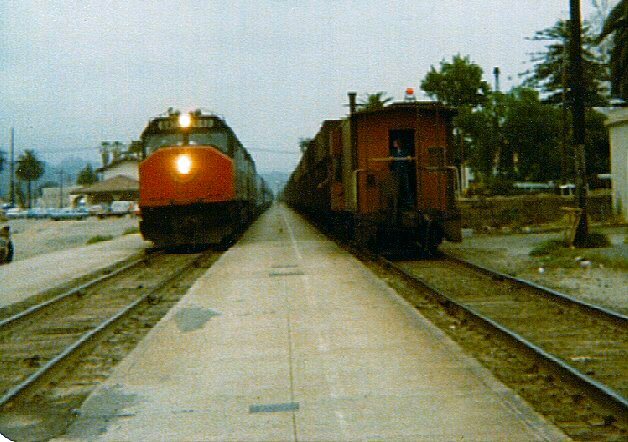 (127K) The same day, a westbound freight rolls through. Notice the gyro light on the front. 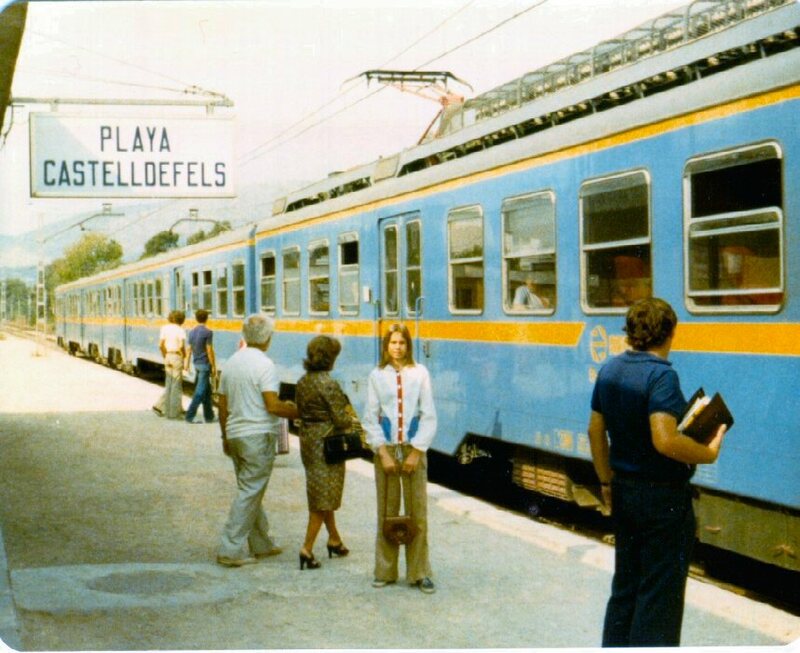 (114K) Winter, 1979 in Castelldefels, Spain, the "local" or Tranvia stops to pick up passengers. Tranvia trains are trains that stop at ALL stops, no matter how small. My sister, Marina poses. 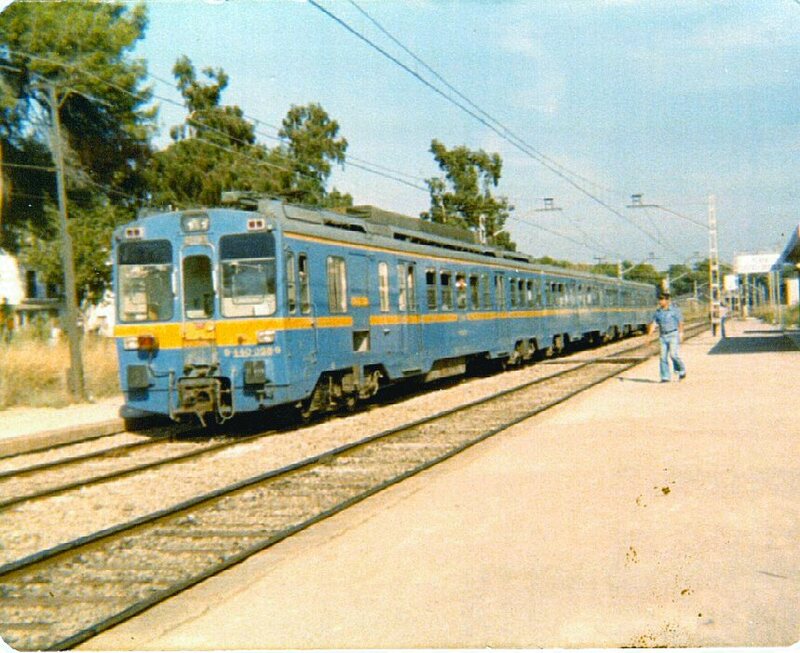 (145K) On the same day, a Westbound Tranvia coming to a stop. Castelldefels is about 25 miles southwest of Barcelona on the coast. 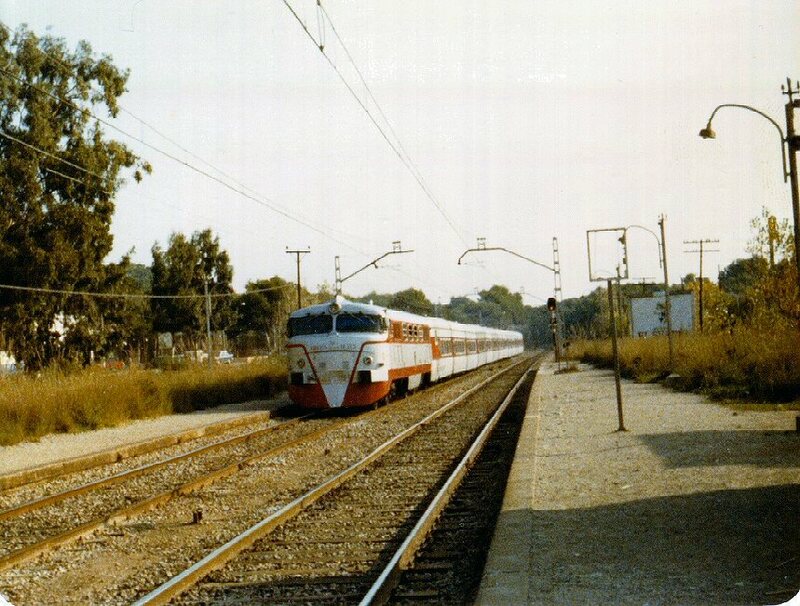 (162K) Earlier that day, the Spanish Talgo blazes through the station at 80mph en route to Madrid.